Custom designed invitation printed on letterpress. RSVP card and fun location map, printed on stock. 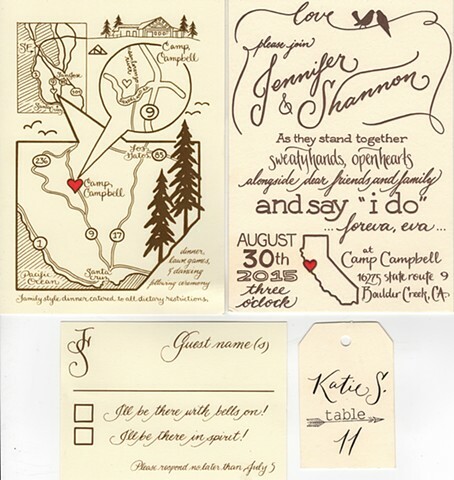 Additionally, eighty-three hand lettered place cards as a special individual touch for this gorgeous ceremony in the Santa Cruz, CA redwood mountains.